Middle Name: Yana L. D.
Throughout the late 1990s, he taught Game Theory and Optimization and Operations Research at the Institut de Mathematiques et de Sciences Physiques (Benin). Dr. Abalo was born in Lomé, Togo. 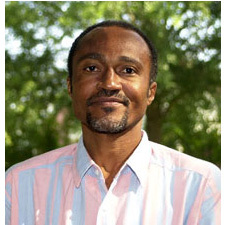 According to Robert Fikes, since 1995, Dr. Abalo has worked as Maître-assistant at the Université de Lomé. He was also a Visiting Scholar earlier this year at the Center for Operations Research and Econometrics at Université Catholique de Louvain in Belgium. He later worked at Erskine College.